There are certain pages that will be absolutely the most common pages you turn to over and over again. You can tag and highlight your code book all you want and eventually you’ll have a ton going on in your book. If your book is more decorated than Evil Knievel, go ahead and start tabbing the bottom pages so long as those pages are extremely important. Also, if allowed in your state exam, and you can write notes, tab the page that has your formulas on them and make a note next to them. Eventually, you’ll use those pages that are so important a few times during your exam prep and you’ll remember where they are, but you don’t want to risk forgetting that on the day of the exam due to pressure. If you have several tables on one page, you want your eye to go to the one that is important and forget the rest of them, so you can add a star next to the table that is the important one and add a tab if you have one or dog ear fold it. 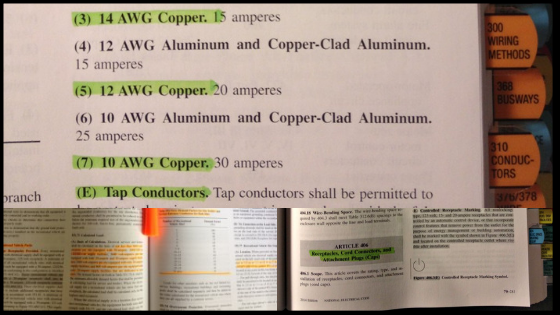 Again, if it’s allowed in your electrical exam, it’s always a good idea to notate your notes, if that makes any sense. 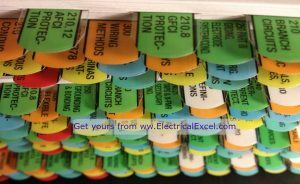 For example, a few tables that will be necessary during the electrical exam such as the Small Conductor rules, breaker sizing, tap rules for fixture and normal, should already be tabbed on your book but if you have so much going on that it’s hard for you to locate, then tab those pages at the bottom of the NEC. Notice how there are a lot of things going on in just those pages. Thanks for reading and good luck. If you have any questions or need help preparing for the exam in Texas check out of live seminars. 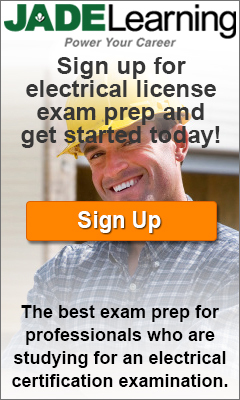 ← Flashcards for the electrical exam?